For my first Let’s Talk Fashion post I wanted to do a fashion challenge, so I challenged myself to create a casual and effortless spring outfit for $35 or under (not including tax). 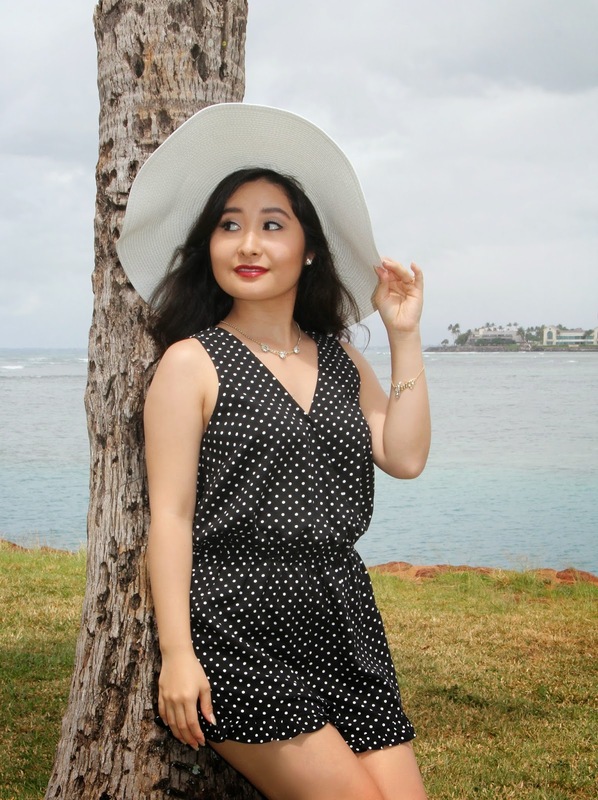 After browsing through countless skirts and dresses at Forever 21, I finally chose this black and white, polka-dotted romper because of the playful pattern and cute ruffles on the hem. This romper will look great on most all body types. The elastic band cinches at the waist, which will create an illusion of wider hips for those of you who desire a more curvy look. However, if you have a pear-shaped body type like me, this romper will just accentuate your curves. I then paired the romper with a Forever 21 white floppy hat, which caught my eye on the way to the register. I knew if I purchased the hat, I wouldn't have enough money to buy any other accessories to compliment the outfit. In the end, I bought the hat because it is a functional statement accessory. I could add any necklace or bracelet to my look, but the white hat was not something that could be easily replaced. To complete the Forever 21 ensemble, I paired it with my favorite pair of Callisto sandals and simple jewelry from my personal collection, just to add a little sparkle. Now, the moment we have all been waiting for. Drumroll . . . My total was $34.60 (without tax), which was forty cents under budget! I just made it! 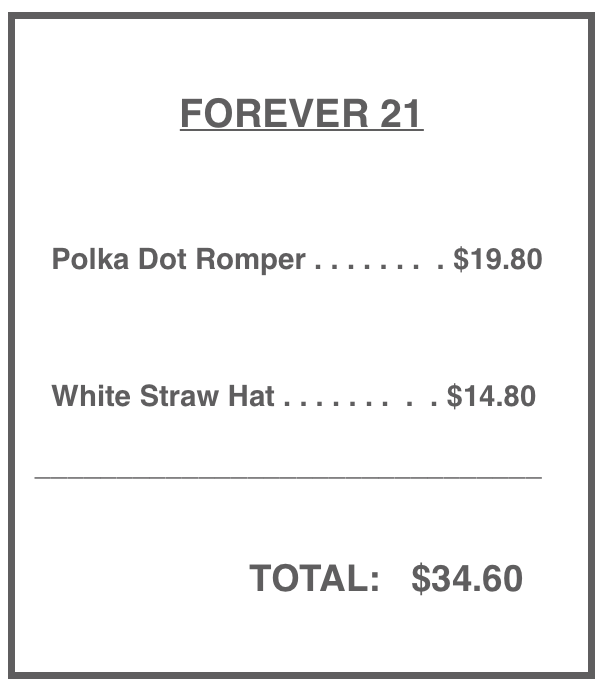 If you would like to purchase the romper or hat, you can find them at a Forever 21 store or you can purchase them online (I have provided the links to the items above). Sending you lots of love from my heart to yours!